Parenthood comes with a lot of responsibility and care. Parents only want the very best for their children and keeping them safe is a top priority.The best baby video monitor products that help parents keep their eyes on children while they are sleeping or in the other room, adding peace of mind to your parenting routine. Baby monitors are 2-piece devices that are consist of a transmitter (which stays in the baby’s room) and a receiver (that stays with the parents). At first, baby monitors were only able to transmit sound from the transmitter to the receiver; allowing parents to listen for when children cry or need them. Nowadays, parents can also purchase baby monitors which transmit video; allowing parents to not only hear but see their child’s safety. Video monitors can not only allow you to listen-in and watch your child but can also come loaded with additional features. You can find video monitors that feature high-definition video, wi-fi capabilities, app-features, and more. Some can feature additional safety and security features, while others can support multiple cameras; allowing you to keep an eye on multiple children at one time. 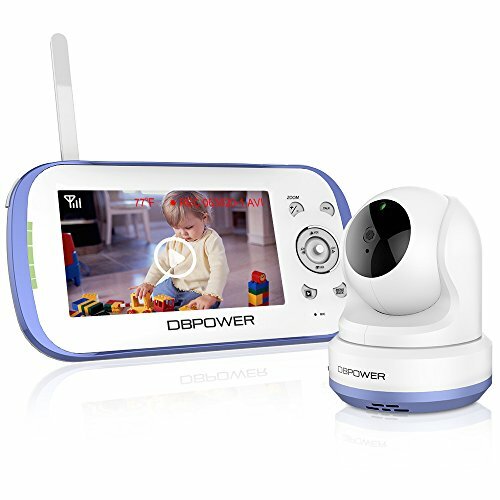 We’ve compiled a list of the top baby video monitors that can help ease your mind about the security of your child. 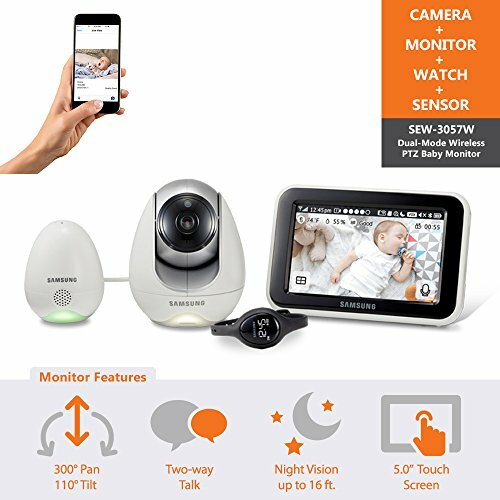 The following video monitors are the best-of-the-best; giving you the ability to monitor your baby safely and effectively. This video monitor can run for 10 hours on power-saving mode and 6 hours with the screen on via rechargeable lithium ion batteries. Included with the set is 1 display receiver and 1 camera with an optical lens that features remote pan, tilt, and zoom. Optical lenses on the DXR-8 can be interchanged (sold separately), so you can customize your viewing angle and zoom. The receiver’s display features full-color and is 3.5 inches. The LCD display fits inside a compact, sleek unit that has a retractable antenna and sound-activated display. It provides crystal-clear imaging and real-time video through a 2.4GHz FHSS wireless transmitter that requires zero setup. Infant Optics’ system gives parents complete digital privacy alongside delay-free video. This video baby monitor also features a remote, in-room temperature display to ensure your baby is always comfortable. It features a power-saving mode that reduces battery-life by 50%; turning the monitor into an audio-only product. The row of LED lights on the side of the display screen alerts you to baby’s sounds, even when the volume is turned down. Small, discreet, and white in color, the DXR-8 has an impressive 700-foot range. If you’re looking for a video baby monitor that has a lot of functions, this product by Honrane might be the pick for you. It features an average-sized 3.2-inch, LCD screen on the receiver that gives you full-color, high-quality video and sound. The receiver is the perfect size for at or travel, at only 4.72 inches wide. It also comes with a built-in stand that allows you to prop it up on any flat surface. Parents can monitor temperature through the camera transmitter, as well as soothe their babies through the use of two-way talk. You can even play 8 different lullabies through the video camera to help comfort babies and children. For added comfort, the video monitor automatically adjusts to the change in light at night with night-vision technology. The set comes with 1 video camera transmitter and 1 display receiver, with quick setup instructions that allow you to pair the monitor without the use of internet. The video camera uses a DC power supply, while the display uses a replaceable battery. It also features a power-saving mode that turns the display back on when baby makes noise. This video baby monitor by Honrane may not have massive range, at only 98.4-feet during the day and 15-feet at night, but its added safety and security features make it a great choice for bedroom-monitoring. The Wisenet Babyview is wonderful for parents who want safety and function, but also great tech features. At first glance it appears you pay more for less, since the cameras and monitors must be purchased separately. 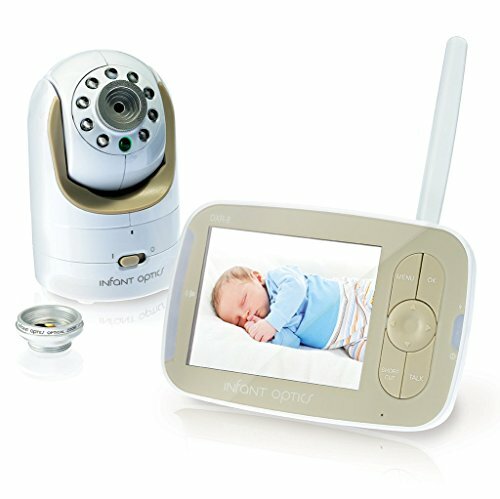 But combine the amazing features packed into the camera with the fact that you do not need a monitor to use it, and you have a top-rated baby video-monitoring system. You can either monitor baby from a display monitor that can be purchased separately, or from your smartphone or device. It can pair with smart devices via Wi-Fi, so you can easily watch video through an easy-to-use app. The compact camera features remote pan, tile, and zoom. It has a long-range of 900-feet and a 720p HD image sensor, so you always receive high-quality imagery. 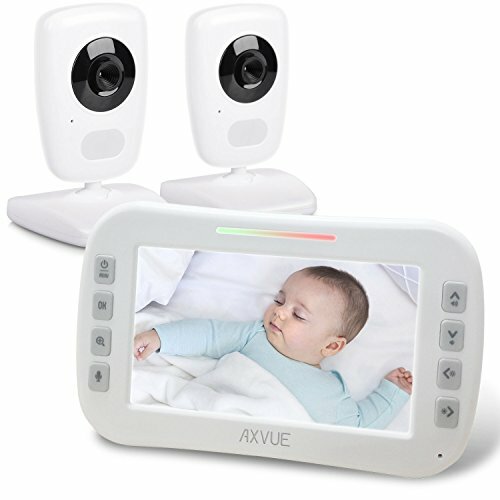 Night-vision capabilities can work up to 16-feet through the use of non-visible IR LEDs that let you watch without disturbing baby. 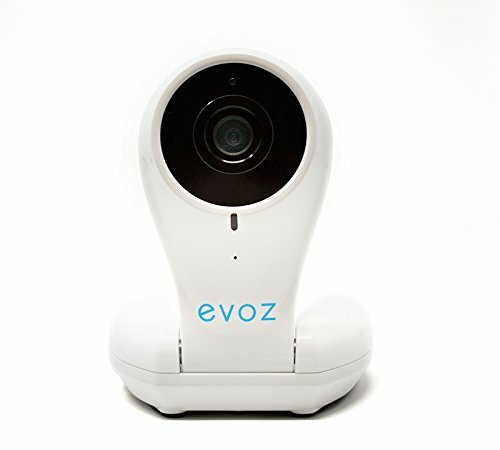 The Wisenet Babyview camera can be turned through the use of Remote PTZ, which allows to point the camera in the right direction. Additional features include a built-in night light, 4 pre-programmed lullabies, and pairing capabilities for up to 4 total cameras. Samsung stays true to the brand with this baby video monitor that does it all. The aesthetic of this monitor is appealing, as it has a design that is slightly reminiscent of a vintage microphone. 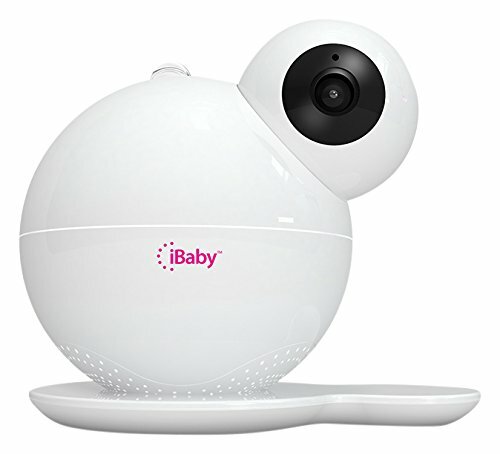 Invidyo created this product with intentions of doing more than keeping an eye on your baby while he/she sleeps. It uses rechargeable batteries that make the system both portable and long-lasting. The video camera only weighs 9 ounces and 2.6-inches tall, so it’s small and compact enough to fit anywhere. For parents who want to ditch the old-school display system, this video system can be viewed on most smart devices, as well as from the web when you’re somewhere else. It can keep track of a room’s temperature, humidity, and air quality. It also has facial recognition software that can alert you to new or unrecognized faces. Parents can even talk to kids and babies through the two-way talk feature. The facial recognition not only alerts you if someone new is present, but also detects each time your child smiles. When your child smiles, the video camera snaps pictures and generates a smile album that can be viewed for years to come. Invidyo will even send you the most important moments in your kid’s day in a 2-minute clip. Additional features include multiple camera-pairing, night vision, and back-up battery. 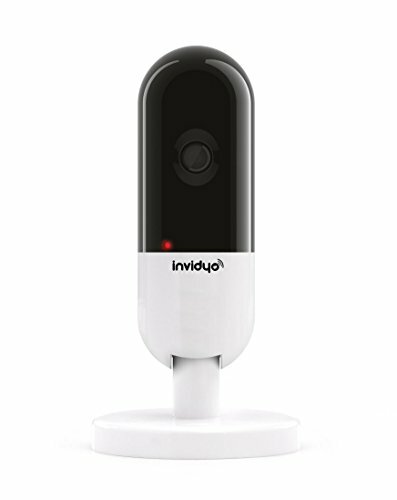 If you’re looking for a baby video monitor that can double as a security camera and grow with your family, check out Invidyo. Included with this set is one video camera transmitter and one monitor receiver. The monitor receiver is compact and smaller than others on the list, with a simple 2.4-inch LCD display screen. The screen features full-color, 2.4 GHz FHSS technology that gives you interference-free connections and crystal-clear image and sound. The easy-to-use monitor also features a kickstand that allows you to easily watch your baby from any flat surface. 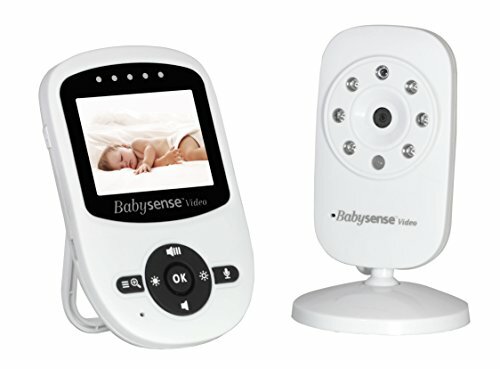 The Babysense video monitor has a long range of up to 900 feet (in open spaces) and alerts you with a warning when you become out-of-range. The video and monitor pair easily together through an easy setup system. You can use infrared night vision to keep an eye on baby at night, which automatically turns on when it senses dim lighting. You can help comfort babies with multiple pre-programmed lullabies and two-way talk capabilities. Not only does the video transmitter monitor temperature in the room but can also alert you when the room becomes too hot or cold. It has rechargeable batteries, 2x digital zoom, voice-activation mode, pan/tilt, sound-activated LED indicator, alarm settings, and multi-camera expandability. This video monitor system is a wonderful option for parents looking for the most “bang for your buck.” It comes with 2 video camera transmitters and 1 large monitor receiver. The receiver features an incredible 5-inch LCD screen, with built-in kickstand to allow it to be placed almost anywhere. It uses 2.4GHz digital technology, so you never have to worry about video interference. With not 1, but 2 video receivers you can keep an eye on 2 rooms at once. You can even use options to automatically switch screens on your monitor every 8 seconds. Other features include automatic day/night vision and two-way talk capabilities. You can also see the temperature in each room, tilt and pan the camera remotely, and see the sound of your baby’s voice when the volume is turned down with the use of sound lights. The E632 can zoom in and out with the touch of a button and can function with a range of up to 800 feet (open space). Recharging batteries in the video cameras is easy with the included AC adaptors and you’ll never have to worry about losing power with the low-battery indicator. The monitor receiver uses disposable batteries but is able to work for a long time. Like a few others on the list, this video monitoring system comes only with the video camera and no handheld monitor display. But for parents who find carrying around displays a hassle or who enjoy the convenience of technological advances, this option could be ideal. You can sync the video camera to most Android and iOS smart devices, where you can easily keep an eye on babies and children from almost anywhere (up to 4,000 miles away). Video playback can be seen on devices through the use of Wi-Fi by more than one person at a time, and the software is entirely secure. Parents can decide exactly who is allowed to have access to viewing privileges. 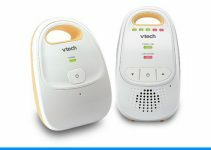 The Vision baby monitor also has cry-detection software that can distinguish between your baby’s cries and other noises. You receive alerts the second your baby starts crying or making noise. The video camera can be mounted virtually anywhere and it has a wide-angle lens to allow you see your baby during the day and at night. Information about your baby’s room even be sent to your device, regarding temperature, sleep patterns, feedings, and more. You can also soothe baby from the other room with lullabies, music, or even audiobooks. With access to the monitor’s app, you can access parenting videos, tops, and more. 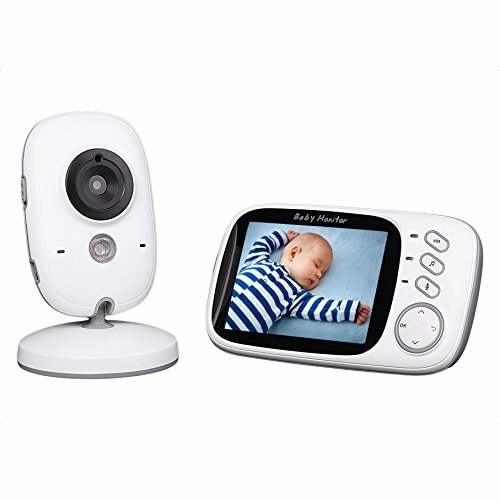 This stylish baby video monitor comes with 1 video camera and 1 display monitor. Parents can add up to 4 cameras to each display monitor, so you can keep track of multiple rooms and children. The display receiver has a 4.3-inch, full-color screen, with the ability to split the screens for every video camera you own.While the camera easily plugs into the wall, the display monitor uses rechargeable batteries that ensure you can keep an eye on children for hours without losing power. White with blue accents, the transmitter and receiver have a modern appeal. You can record and save videos through the use of a SD card (not included), monitor temperature, and see the sound of your baby through sound-activated LED lights. Additional features of this baby video monitor include two-way talk, pre-programmed lullabies, and built-in night light. With no obstructions, the range of this set is 1,000 feet. The camera itself can pan, tilt, and zoom. You can rotate it up to 270 degrees horizontally and 110 degrees vertical. During the night time, it automatically shifts modes to allow you to see your baby with night vision. Easy to install and setup, this monitoring set by DBPOWER is a no-brainer for any parent. This video monitor could be considered one of the cutest products on the list. It has a futuristic, yet fun design that will go wonderful in any child’s room. And while the perks are certainly substantial, only iOS or Android users can enjoy them. There is no display system for this video monitor, though the convenience and features found in the iBaby Care app can make up for that. 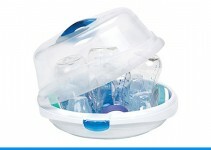 The company boasts that this product is the total baby care system. The ‘smart’ monitor can do a slew of things that set it apart from others, like its moonlight soother feature. The video camera projects the night sky onto the wall; enabling you to give your baby a soothing night light and even pair the light with lullabies. It can monitor the temperature, humidity, and air quality in the room, as well as detect sound and motion. The video camera features 1080p resolution and night vision, so you’ll always be able to see baby. The range of the system is nearly endless, since secure access to the app can connect you to the camera. Family members can check in from across town and parents can look in at the house while they are at work. The lens can rotate 360 degrees, so you’ll always have an optimal view. If you’re looking for a monitoring system that is both functional but also simple and small, this could be a great choice for you. This set comes with not just 1, but 2 camera transmitters and 1 display monitor receiver. The display monitor will never be in the way with a simple, discreet, 2.8-inch, full-color screen. It uses rechargeable batteries, so you can take it with you anywhere within range. You can take the display monitor up to 1,000 feet from the video cameras and use the split-screen feature to watch both rooms at the same time. The cameras, which can be placed in two separate rooms, feature two-way talk communications, secure transmissions, and various recording settings. The system is even expandable; up to 4 cameras can be used. You can adjust camera angles, mount cameras on the wall, soothe baby with 5 pre-programmed lullabies, and monitor the temperature. 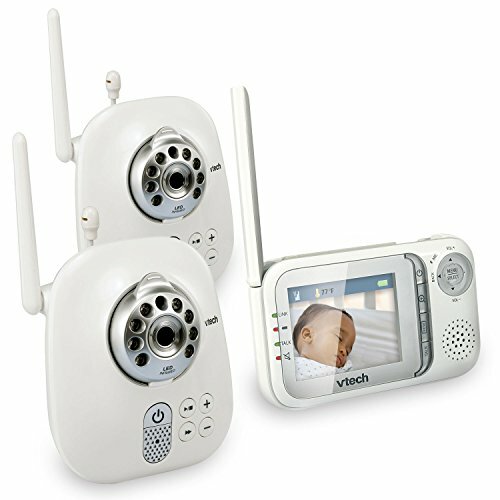 The VM321-2 allows you to remotely control and zoom the camera, so you can closely watch baby without disturbing him/her. The display can alert you with a 6-level sound indicator and vibration. Other features include night vision, adjustable volume settings for camera, and low-battery alert.